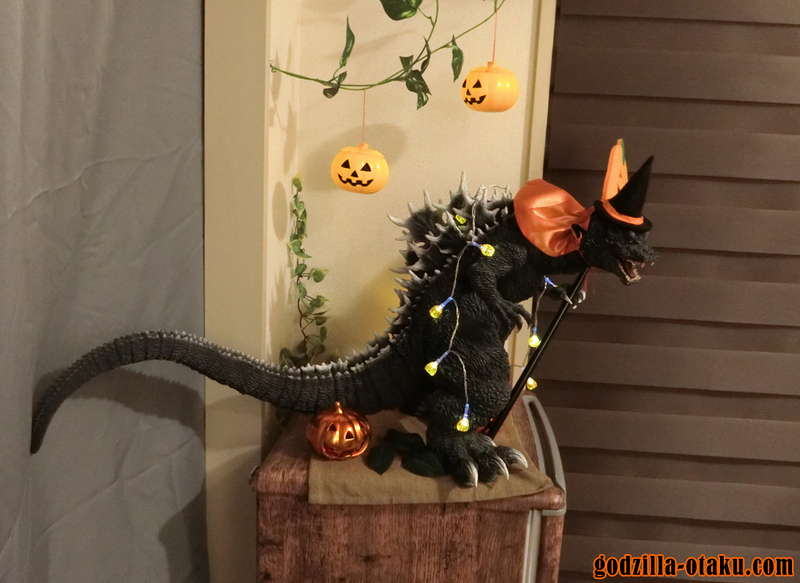 Godzilla, king of pumpkin has appeared for this Halloween! 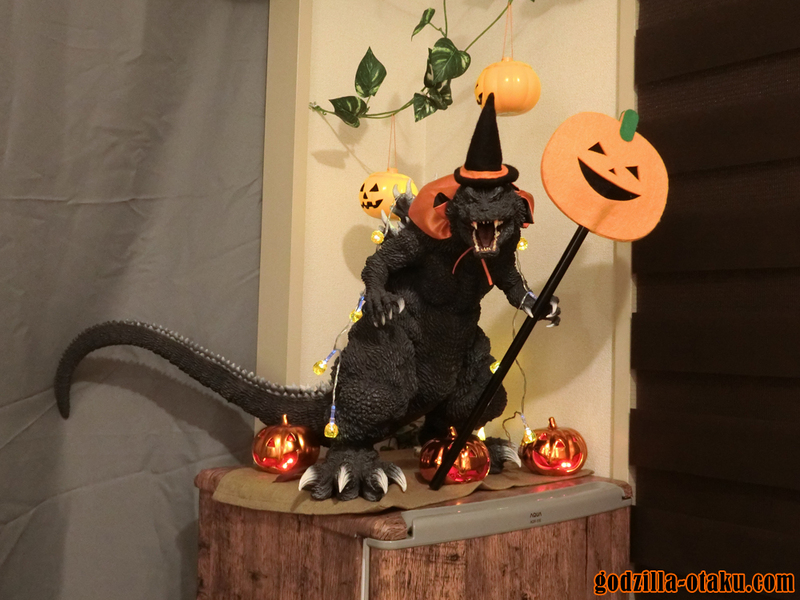 This is X-Plus Gigantic Series Godzilla 2001(GMK). 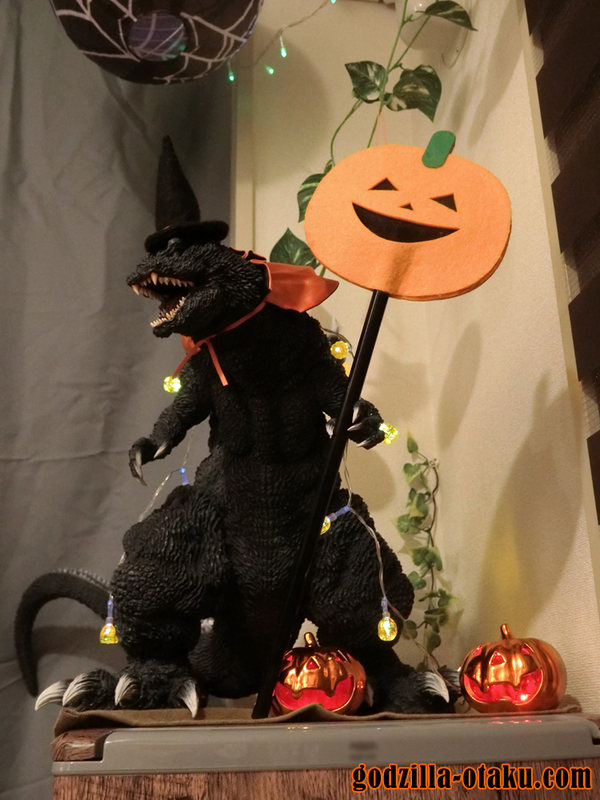 I decorated it with some Halloween stuff for a Halloween party last night! 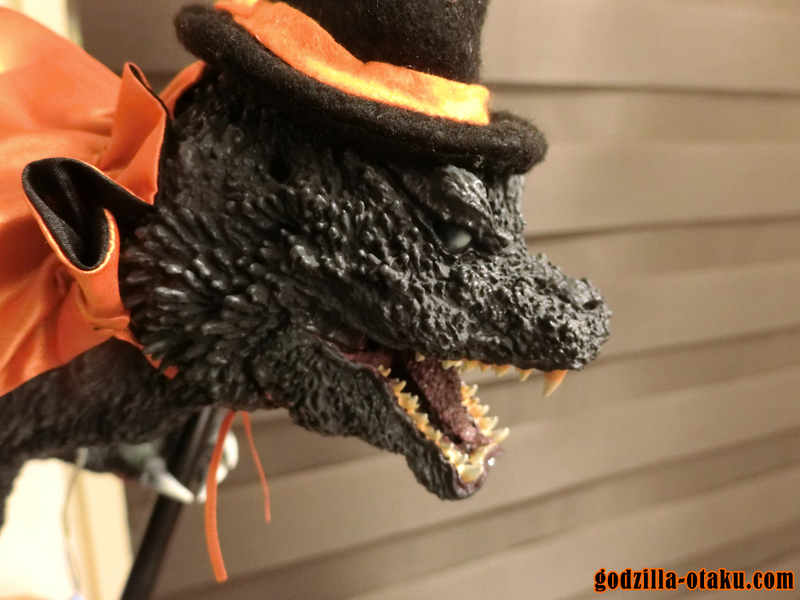 I’ll post a full review about this figure later! 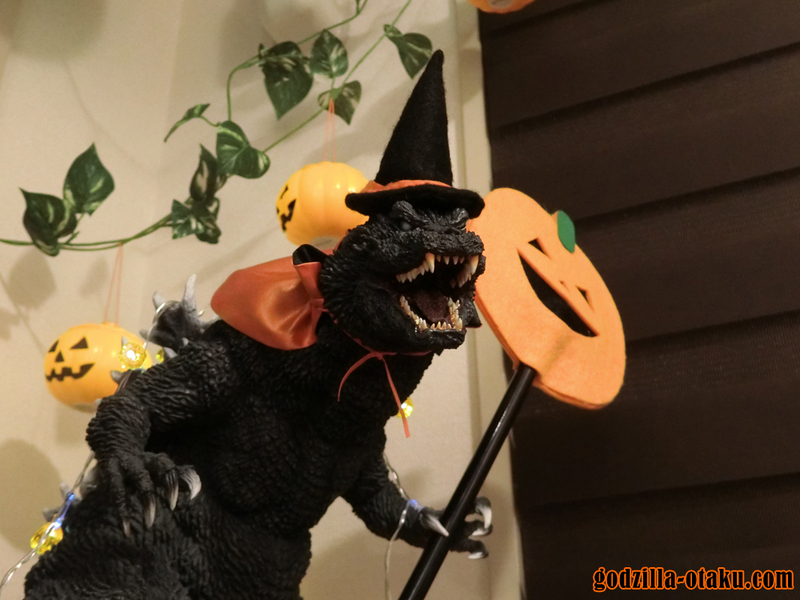 Next Post:Godzilla Figure Gallery – Happy Birthday Godzilla!